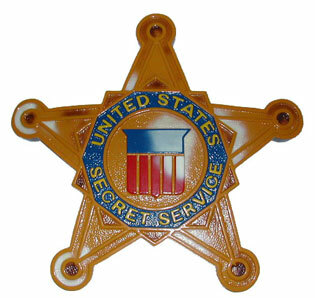 A man who works for a company that scoops up pet poop has been charged with using a fake Secret Service ID and badge to get the “government rate” for a hotel room. Christopher Diiorio, 53, was arrested after flashing the ID and badge during a traffic stop in suburban Pittsburgh, the Associated Press reports. The professional pooper scooper pleaded not guilty Thursday in federal court to using a false badge, a fraudulent official seal and conspiracy. Federal authorities say Diiorio purchased the fake ID and badge online. The foreign company that sent the ID and badge was not named in the indictment. Diiorio faces up to 15 years in prison. Homeowner Says FBI Raids Wrong Home in Orange County, Fla.
Posted: 10/28/16 at 9:04 AM under News Story.